Spyderco is a Golden, Colorado, U.S.A. based cutlery company that produces knives and knife sharpeners. Spyderco pioneered many features that are now common in folding knives, including pocket clips, serrations, and the opening hole. Spyderco was founded in 1976 by Sal and Gail Glesser. The first product Spyderco produced was the Portable Hand, this "spider-shaped device", which gave the company its name, was a series of angles, ball joints and alligator clips that helped people such as jewelers and hobbyists to work with small parts. They settled in Golden in November 1978. Spyderco began producing knife sharpeners in 1978 and produced their first folding knife, the C01 Worker, in 1981. 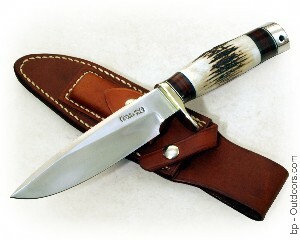 This knife was the first to feature a round hole in the blade designed for fast, one-handed and ambidextrous opening, which is now the company's trademark. Knife models include: Delica 4, Endura 4, Tenacious, Resilience, Persistence, Ambitious, Dice and Techno.